The Kinect sensor that comes with all Microsoft Xbox One units needs to be set up either just below or above your screen. 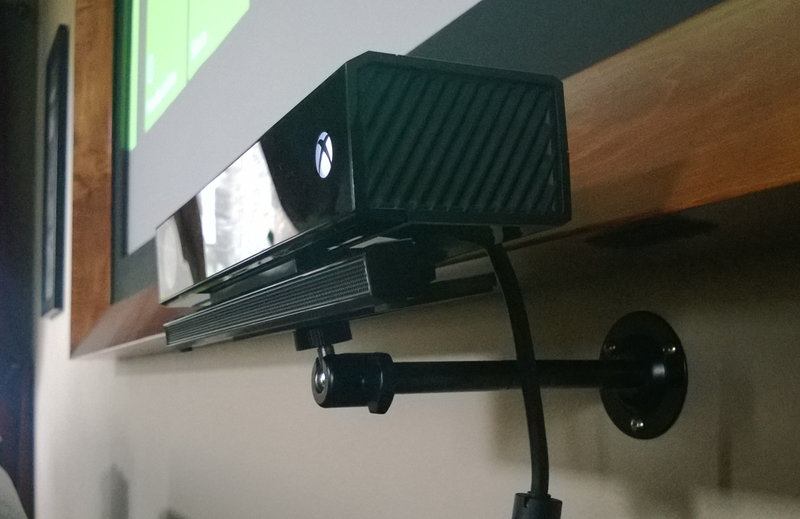 The Kinect sensor has a nice flat base that makes it easy to set on a level surface. 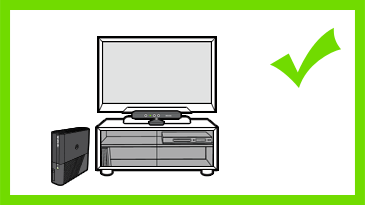 However, depending on how your entertainment system is organized, it may be necessary to mount the Kinect sensor to your wall. 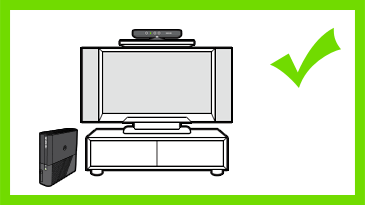 For example, if your TV is hung on a wall (as opposed to in a cabinet or on a table) or if you use a projector instead of a TV. It is worth noting that the Xbox 360 Kinect had a number of accessories to mount your Kinect to a wall, TV, or even use a floor stand. 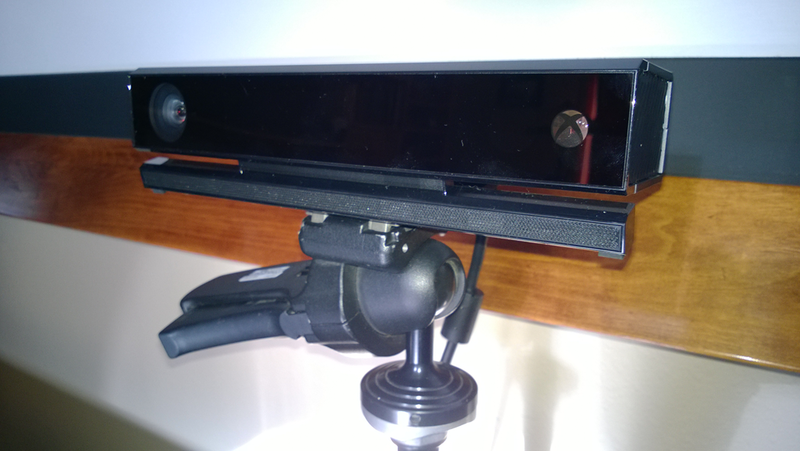 Additionally, you can buy an Xbox One Kinect sensor mounting kit for $20.00. but it sadly appears to be made for clipping the sensor to a TV, not attaching to a wall. Good news: upon further examination, I discovered that the Kinect has a standard camera tripod mount on the base (this is just a standard 1/4 inch screw hole). Yes, this does means that you could easily put your Kinect on any standard tripod, although for most I’m guessing this is probably not a very cost effective nor aesthetically pleasing option. …just to prove it will attach to a standard tripod. OK, so how do I mount it to a wall? The fact that the Kinect for Xbox One has a standard tripod mount opens the door to attaching your Kinect sensor to the myriad of 3rd party camera equipment readily available on the market. 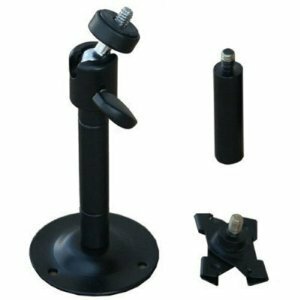 For example, just by searching the web you can easily find a number of affordable “camera wall mount” accessories available (I’m guessing these products may be sold primarily for security cameras). For my living room I wanted something discrete, solid (metal not plastic), with an adjustable head, and be black to match the color of my Kinect. I chose the VideoSecu Camera Mounting Bracket on Amazon for only $6.99 with my Amazon Prime account. Note: I also looked in my local Best Buy, Radio Shack for an option but came up empty handed. For me, the VideoSecu Camera Mounting Bracket was a great option and so far I have no complaints! Know of a better option? Let me know! I am going to try this. Hey, I was going to purchase this wall mount tonight. Any issues with it so far? A lot of people left negative reviews on Amazon so I’m wondering if you ran into any problems. I’ve had no problems; so far it’s doing exactly what I needed it to do. support we may allow you to navigate that course of action. TV’s, etc. A few good clicks will tell you right away that you have a good speaker. and also you can get actual results which will be beneficial for your business. of professional Search Engine Marketing Company. we eep in touch extra about your articfle on AOL? I require an expert on this area to solve my problem. ﻿ Casi Toda la comunicacion estaria escrita de una forma patente y directa. Wow I’m amazed how long it took me to find this simple solution to make a swiveling wall mount for my kinect 2. Thanks! I must say you have hi quality content here. Your posts should go viral. I see you don’t monetize your website, don’t waste your traffic, you can earn extra cash every month because you’ve got hi quality content.